Helsell Fetterman, a Seattle-based law firm providing exceptional legal solutions for businesses, organizations and individuals is pleased to welcome Karen Kalzer to the partnership. Karen Kalzer has been practicing law for over 20 years and with Helsell Fetterman since 2012. Karen’s practice focuses on Employment, Education and Religion Law, with an emphasis on defending complex litigation for communities of faith, non-profits, schools and private employers. She chairs the firm’s Education, Employment and Labor Law and Religions and Social Services practice groups. Karen began her legal career at Lee Smart, where she was a litigation attorney for eleven years. In 2007, she and several other partners at Lee Smart struck out on their own to form the law firm of Patterson Buchanan Fobes Leitch & Kalzer. She continued practicing as a founding partner there until 2012 when she moved her practice to Helsell Fetterman. Karen is also admitted to practice law in Oregon. 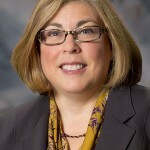 Karen is lead counsel for the Northwest Association of Independent Schools (NWAIS) and its member and affiliated schools.